Reducing the vulnerability of the built environment dramatically improves resiliency in the face of natural climate and geologic events. This page is intended as a resource to help inspire safer human habitation through the geographic integration of science, engineering, economics and public policy. I highlight newsworthy events and share best practices that improve planning and locational decisions, with the goal of reducing the loss of life and property. 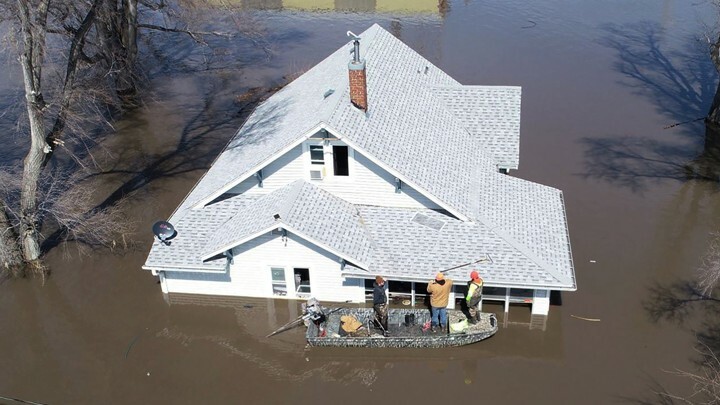 Historic flooding in the American Midwest has been the featured story on the news for the last few weeks. Reports say that melting snow-pack and strong rain storms have contributed a level of severity to the problem of Spring floods that regularly ravage the area, blaming the "natural disaster" for deaths and billions of dollars in damage to buildings, infrastructure and crop land. Was this in fact a natural disaster? "This is not a call for blame, but a call to arms to learn from the past to keep ourselves out of harm’s way." The article refers to the hundred years of flood control activities in the United States as a "failed experiment." It quotes the Association of State Floodplain Managers saying, “Even the best flood-control systems or structures cannot completely eliminate the risk of flooding from all flood events.” Lining our rivers with levees funnels the problem downstream where, when the levees break or end, the damage is often much worse. The article documents a number of other attempts to engineer a solution to the problem over the years. All have failed to truly resolve the problem. Many, in fact, have simply exacerbated the problem. At some point, all the levees and dams and reservoirs were placed to protect development that has grown unchecked into otherwise vulnerable areas. This, then, is the essence of the statement above that "it's not the hazard itself that's the disaster... it's how we build and live in those areas that's the disaster." The article makes note of a number of things Federal, state and local governments are doing to improve building codes, development plans, and hazard mitigation. Unfortunately, until we stop blaming "Mother Nature" and start pointing to our own actions as the cause of the problem, the damage and, most sobering, the lost lives will continue.